A few years ago I retired and wanted to move to a mobile home. After years of working in the city I really did want to just move to the country and live a peaceful life. 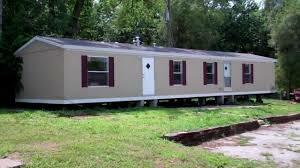 We decided to make the move and took ownership of a mobile home in Utah. The mobile home itself dates from the 1960’s and has been well kept. I saw no problems buying it, and has been a sound investment. Except that it’s haunted. Since we moved in we have seen strange shadows, we’ve had strange voices calling out in the home. We’ve had the oven turning itself on, we’ve had the trailer rocking from side to side. I’ve also been unable to get a constant signal on my cell phone and we only get an intermittent TV signal. My wife decided to go stay with her sister, so I am here alone. I find that if I talk to the “spirit” it responds in its own way. A few nights ago I was asleep on the built-in bed and felt something grab my shirt at the neck. I wriggled and it let go. It seems that whatever is in here is trying to get my attention. I had wondered up to that point if it was something to do with electrical interference, but I don’t think so. I think this mobile home is haunted. I wonder how long you could put up with all those disturbances? Unless you got used to the spirit’s manifestation, why did you not tell him/her that no matter what happened in the past, you were then the current legal owner of the property! I would be mad if it kept rocking the unit every night!